Editor’s Note: This is one heck of an EXCITING boat! Thomas can run all day and all night (on plane even) with the low HP requirements and swears he can pole in 2 inch of water (he has the pics to prove it). 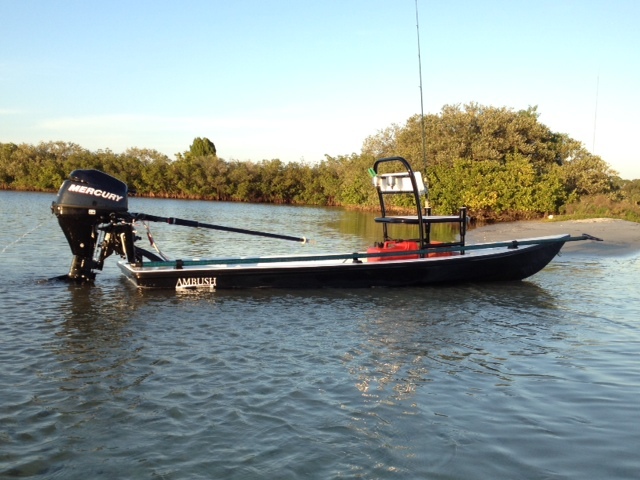 The Ambush Skiff has really upped the ante with this great skinny water skiff! 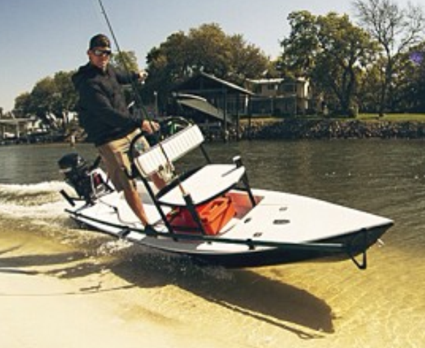 SKIFF UPDATE: Check out the SK14 Microskiff we built very similar to the Ambush Micro. The Ambush is a unique approach to finding fish fast. 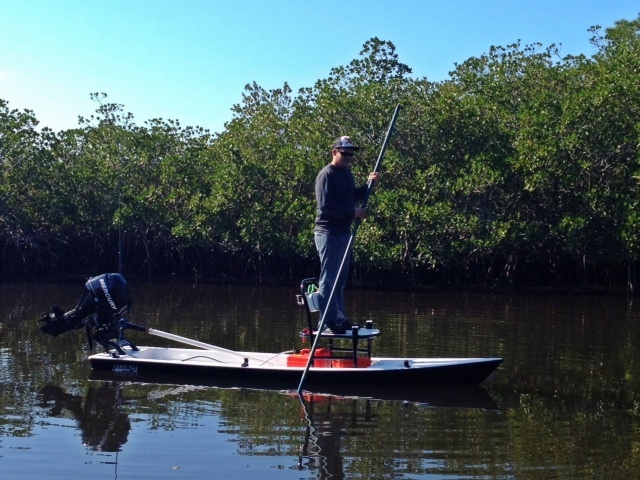 This vessel can be used as a paddle board, kayak, and small outboard powered flats machine. With a self bailing cockpit and dry storage hatch this craft is unlike any other on the market. 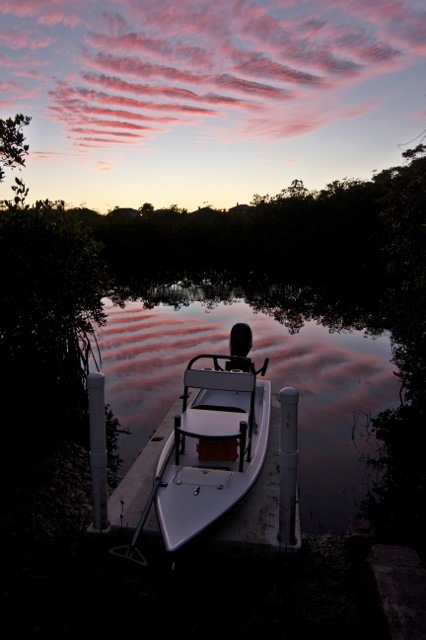 All Pelican products are hand made with composite materials and built to last. 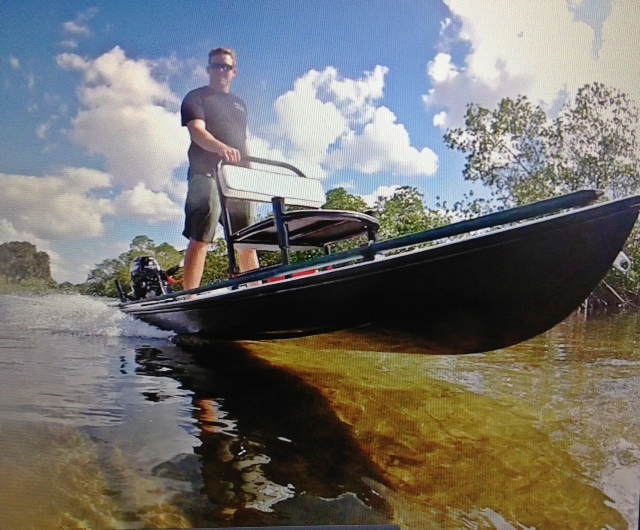 If you are interested in micro skiffs, check out our SK14 Microskiff we built. 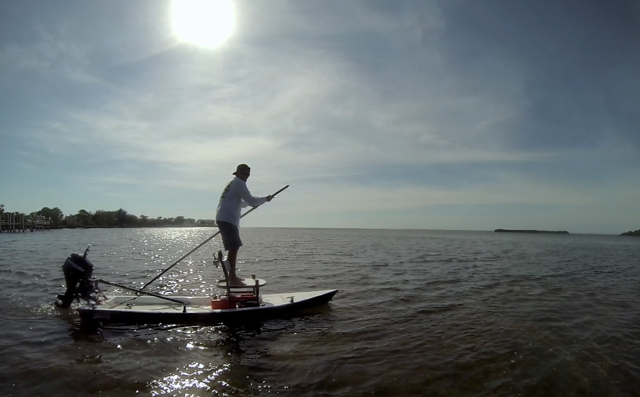 This cool little skiff is wider than the Ambush Micro making a more stable platform but still a dream to pole or paddle. Click here to learn more.